Cue the lackluster applause from the other sales people. We are celebrating the individual’s results alone rather than the collective behavior of the team. No one wants to go out of their way to be scolded or told what they are doing wrong. You might be thinking, “It isn’t supposed to be fun.” And that is where I would have to disagree. 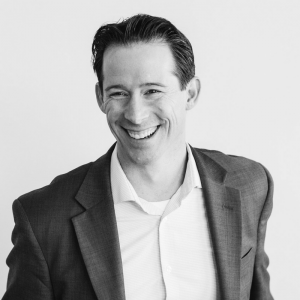 At Shore Consulting, we help sales leaders transform boring, culture-killing sales meetings into sales rallies. How do we do it? By making it fun! 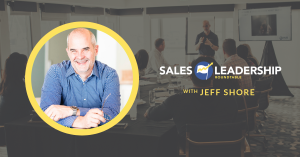 Check out Jeff’s Sales Leadership Roundtable to learn how to develop a self-managing sales team and break free from the two-bit problems that are holding you back from doing the strategic work you want (and need!) to do. I came from a culture where every Monday morning our entire sales team had to drive an hour-plus to hear what they were doing wrong. I swore that if I ever got the chance to put together an agenda that I would approach it from a sales person’s point of view. What would cause me (or any sales professional) to want to come to this meeting? How would I organize the meeting if every person in attendance paid $3000 to be there? What mood do I want the team in when they leave the meeting? What is the point of meeting? What types of activities would cause engagement and learning without ridicule? With the help of the other sales leaders we created a fun and engaging sales rally where 14 years later, people still comment to the leadership of that team how great it was. I encourage you to analyze your sales meetings with the questions above and see if you can’t change your sales teams’ lives by changing from sales meetings to sales rallies!